Look what we have been doing to raise money for Child Bereavement UK. 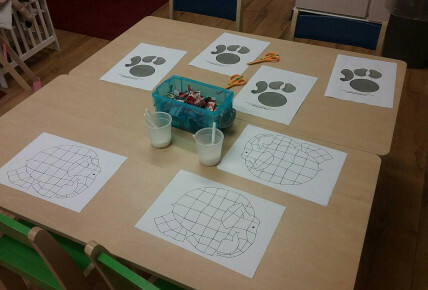 The children at nursery had an Elephants Tea Party, they ate lots of lovely tea party food and took part in many Elephant inspired activities. The children in poppies had grey playdough to make different shapes and animals. They used their rolling pins and animal cutters. The children explored the texture of the playdough and talked about how it was cold and soft then when you rolled it in your hands it went warm. 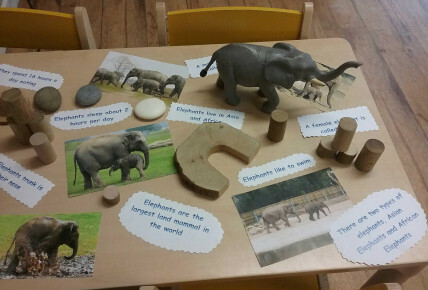 We also had an Elephant table with lots of facts about Elephants and Elephant figures for us to role play with. The children throughout the nursery loved looking at the big Elephant balloon displayed in the entrance and they also enjoyed playing with the small balloons before going home.